Sunbathing on the shores of the Atlantic, this regal city basks in its splendor of elegance and sophistication. Madrid, Spain--simply the name of this internationally known town fills us with excitement. Madrid is the capital city of the Kingdom of Spain as well as the largest township of both the Community of Spain and the nation. With a population of approximately 6.5 million, Madrid is the third-largest city in the European Union, just behind the cities of London and Berlin. Because Madrid is a hub for the arts, politics, education, entertainment, environment, media, fashion, science, and culture, the city has attained global recognizance. The city also acquires two of the most famous football clubs, Real Madrid and Atletico de Madrid. According to Monocle Magazine, Madrid is the seventeenth most liveable city in the world. Besides its high quality of living, the nation produces an impeccable economic output as well as its vast market size. With so many people and places in the city, you will find there is so much to do in Madrid, Spain! If you are looking to explore the vast expanse of this amazing city, you must make sure you do not miss a thing. In order to do this, Madrid provides a variety of sightseeing tours, such as the Panormaic Madrid Sightseeing Tour. 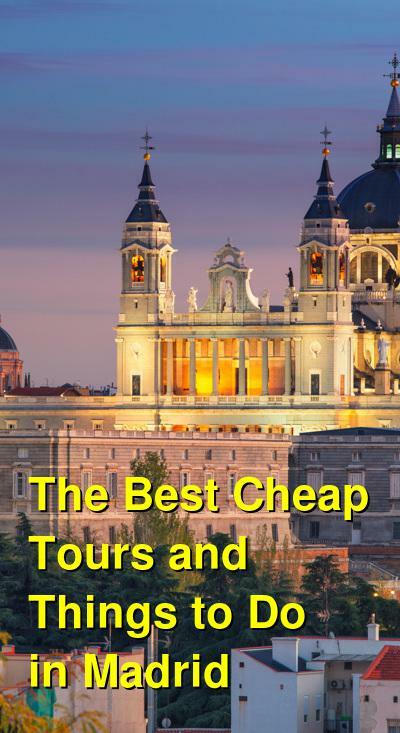 With a duration of 2.5 hours, this tour allows you to see some of the top attractions of Madrid like the Royal Palace of Madrid and Cybele's Fountain. Furthermore, you will get a chance to admire and relish the gorgeous baroque architecture that makes Madrid such a unique city. You will be able to cruise down well-known venues, such as the Gran Via and Paseo de la Castellana. As you see these sights, your tour guide will provide you with detailed, accurate information on the history and culture of Madrid. Transportation is included as you get to ride on a luxurious, air conditioned bus. Refreshments are included, but meals must be paid for when you are at the Hard Rock Cafe. Tours are available in the morning and in the evening. 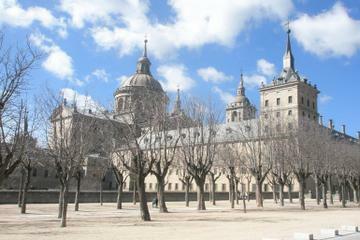 According to many of its patrons, this tour allows you to see every part of Madrid and learn something too! If you are a fan of Spanish music, you will love a flamenco show at Cafe de Chinitas. During this four-hour show, you will enjoy the thunderous latin beats and catchy melodies that have made flamenco music so popular in the nation. Considered a legendary cafe for flamenco music, Cafe de Chinitas offers an ornate interior design, mimicking the style of Granada's Alhambra palace. If you want to have a meal with your show, dinner and drinks are included in the original price, where you will be served a traditional Spanish meal. Seen as fun, entertaining, and original, this show is not worth missing. Enjoy your time in the lovely Madrid, Spain! 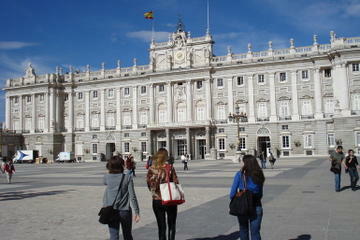 Another remarkable sightseeing tour is Madrid City Sightseeing and Skip the Line Royal Palace Guided Tour. 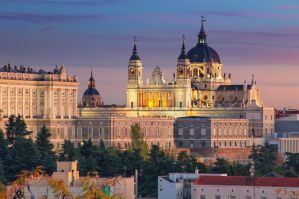 With a total of three hours, you will get to venture through the Royal Palace, one of Madrid's most beloved historical buildings, where you can explore the throne room, banqueting rooms, and royal apartments. You will also learn the important history of Madrid, such as its Moorish origins in Barrio de la Moreria as well as the Habsburg monuments and squares. 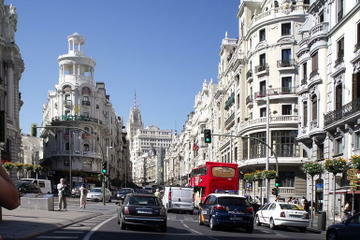 However, you will also get a taste of modern Madrid, visiting places like Rio Madrid. While meals are not included, you will receive a free refreshment at the Hard Rock Cafe. Most customers consider this to be a five-star tour with excellent guidance from their tour guide as well as unique stops. Be that as it may, if you are looking for a more extensive trip that intimately explores historical significant landmarks like El Escorial Monastery and the Valley of the Fallen, consider using the sightseeing tour of El Escorial Monastery and the Valley of the Fallen from Madrid. With an approximately five-hour duration, this tour deconstructs the complex religious history associated with El Escorial Monastery and why it was considered the eighth wonder of the world. You will be able to see the tombs, the Pantheon of the Kings, the basilica, and ornate artworks of the monastery. You will also learn the history of the Valley of the Fallen and who perished during the Spanish Civil War. Food and drinks are not included in the original price. According to many customers, this tour is well worth its price!